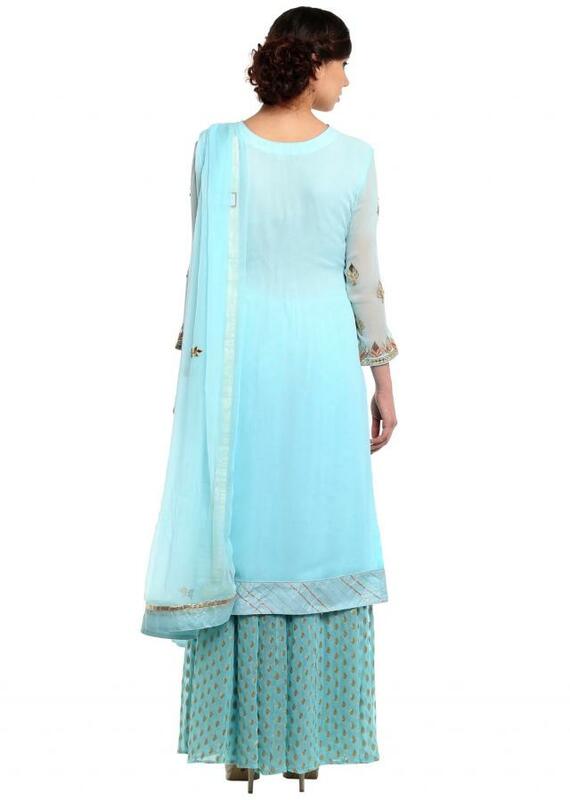 ‌Sky blue straight palazzo suit features in georgette. 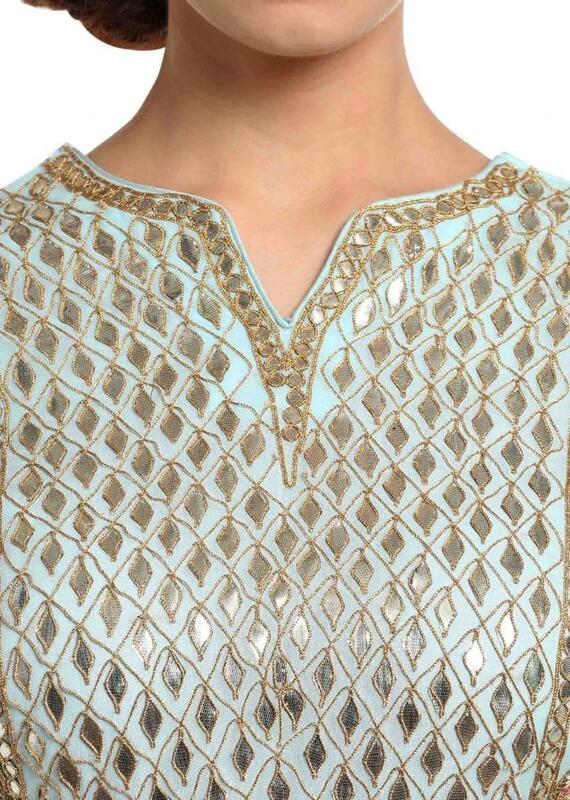 Placket is embellished in gotta patch embroidery along with zari thread. Matched with palazzo pant and chiffon dupatta.